Most Charlotte carpet cleaning companies offer a wide array of services for customers to choose from, just like YOUR CARPET MD. Here, we don’t only have professionally trained carpet cleaners, but we also employ highly skilled upholstery and mattress cleaners to perform our excellent mattress cleaning service. Aside from basic carpet cleaning and professional mattress cleaning, we at YOUR CARPET MD also offer pet odor elimination services, which is one of the most common services used by many homeowners in the area. 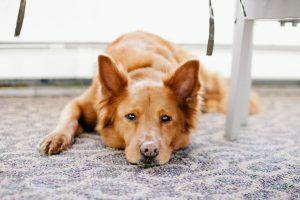 Pets are major stress relievers, and that is probably the main reason why almost every household in North Carolina has a pet or two. Whenever you come home, their wagging tails and sparkling eyes seem to melt the stress away. However, no matter how much you love your pets, you cannot deny the fact that they sometimes release foul odor, especially if they are not regularly groomed. In addition to that, pets may pee and poop anywhere around the house, especially on carpets, rugs and even your floor tiles. With the help of the best Charlotte carpet cleaning company, YOUR CARPET MD, you no longer need to worry about pet odors disturbing your life. YOUR CARPET MD, a popular Charlotte carpet cleaning company, will be more than happy to send our professional carpet cleaners to your location, any time you need us to. Since we are using environmentally-friendly cleaning supplies and materials, we can guarantee your family’s safety even if you watch over us while we do our job. If your pets peed on your carpet, then you don’t need to fret, because our professional carpet cleaners can take care of that! If your pet made a mess on your mattress, you don’t need to buy a new one, because we also offer professional mattress cleaning. No matter how foul the smell of your mattress is because of your pet, we at YOUR CARPET MD can always provide a solution through our excellent mattress cleaning services. Although it’s good to train your pets to dispose of waste properly, you can’t expect all pets to follow the rules every single time. So instead of brooding over pet odor, you can simply ask for our help at YOUR CARPET MD, and we will give you back a fresh and clean home. By the way, our cleaning services include disinfecting the area cleaned in order to kill germs and bacteria too! Please feel free to call us at (704) 766-8020 and get your free quote for odor elimination today!